Prismatic pyromorphite, up to 2 mm, on drusy plumbogummite from Roughton Gill mine, Caldbeck Fells, Cumbria. Photograph by Mick Cooper © Amgueddfa Cymru – National Museum Wales. 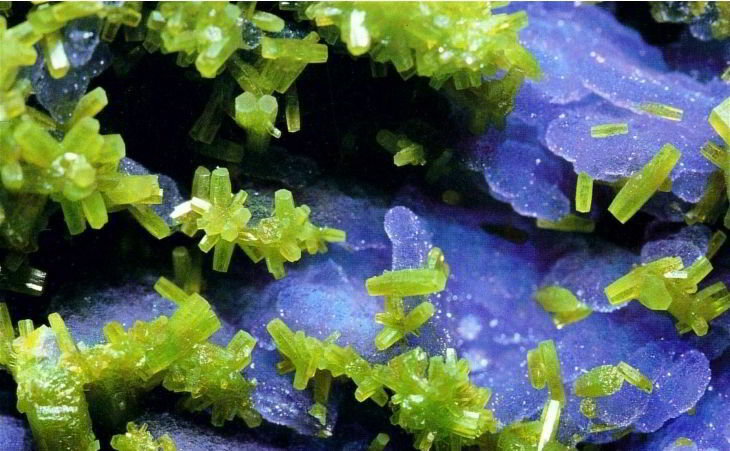 Welcome to the website of The Russell Society, a national group of both amateur and professional mineralogists that encourages the study, recording and conservation of mineralogical sites, material and minerals. Benefits for members include an annual calendar of field trips, meetings, social events and high quality publications. With Branches covering different regions of Britain, members share their common interest and knowledge in minerals. The Society is named in honour of Sir Arthur Russell, the foremost British mineral collector of the 20th century. If you are interested in joining The Russell Society please click here.